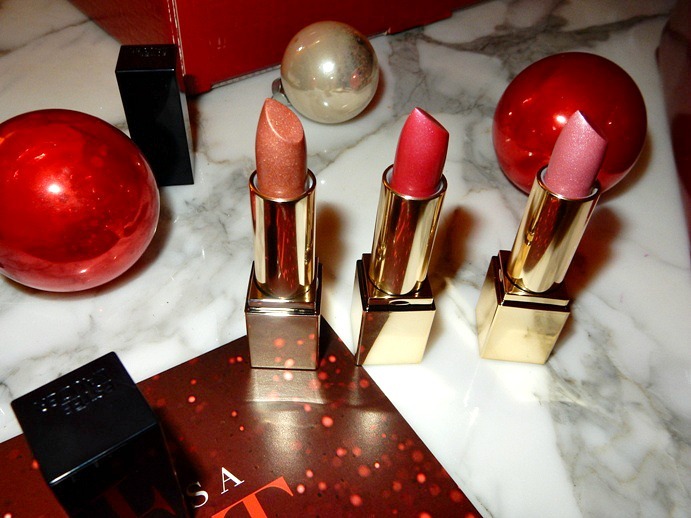 When it comes to holiday traditions, Estee Lauder‘s annual Christmas box set is one of my favorite. My first foray into makeup came wrapped in a bow beneath the family Christmas tree. 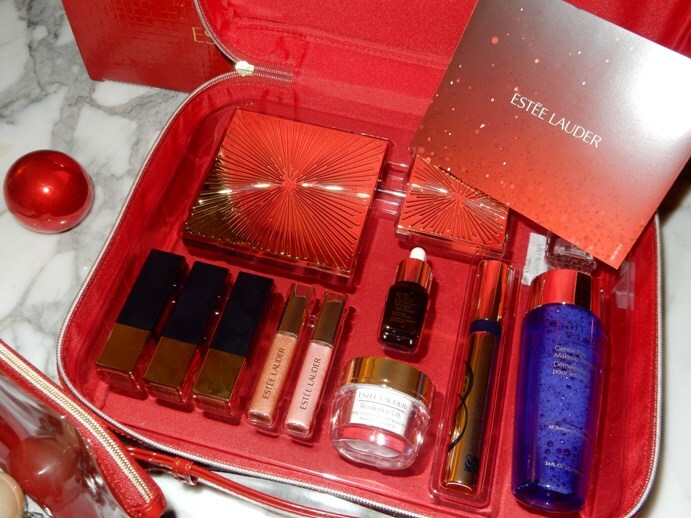 With delight, I unveiled the stunning Estee Lauder‘s holiday gift set with glee. It was a tradition started by my grandmother, that gave my sister and me an introduction to the very best in makeup…right from the start. And so, years later, it is a bit of a dream come true to be sitting beside twinkling Christmas lights with a steaming cup of tea, sharing with you the latest Estee Lauder holiday gift set. After all, it wouldn’t be Christmas without Estee Lauder and this year they’ve released their largest holiday blockbuster gift set, yet. Posh, luxe-lovers everywhere will swoon as they dive into this collection – that will bring out the inner princess from us all. Yep, Blair Waldorf and Serena van der Woodsen most definitely approve! Rubellite: Classic, hot pink signature shade. Pink Parfait: Sparkling, bubble gum pink. 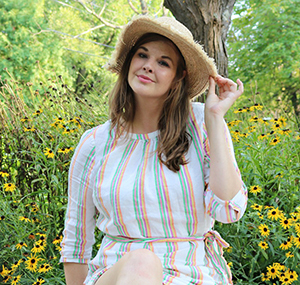 Gorgeous for spring! 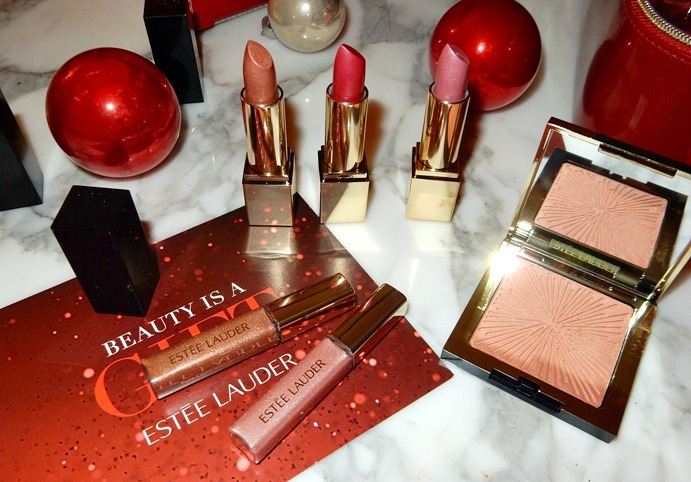 Yes, of course three full-sized lipsticks are very nice – but I think we all agree the true all-star of Estee Lauder’s latest holiday gift set is the stunning gold eyeshadow and blush palette. Featuring 12 eyeshadows and two Pure Color blushes, there’s a lot to love about this palette. 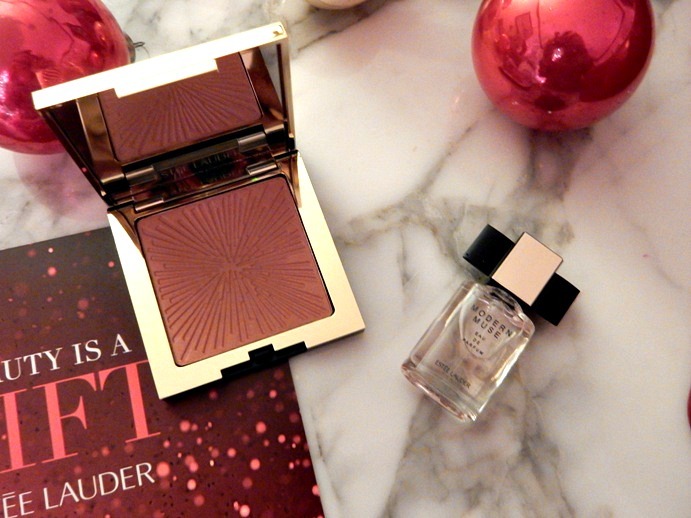 In case you’re unaware, Estee Lauder’s blush and eyeshadows are both winning formulas, that build beautifully atop the skin and blend with ease. To top off your new blushes, Estee Lauder has also included a full-sized limited edition shimmer brick. 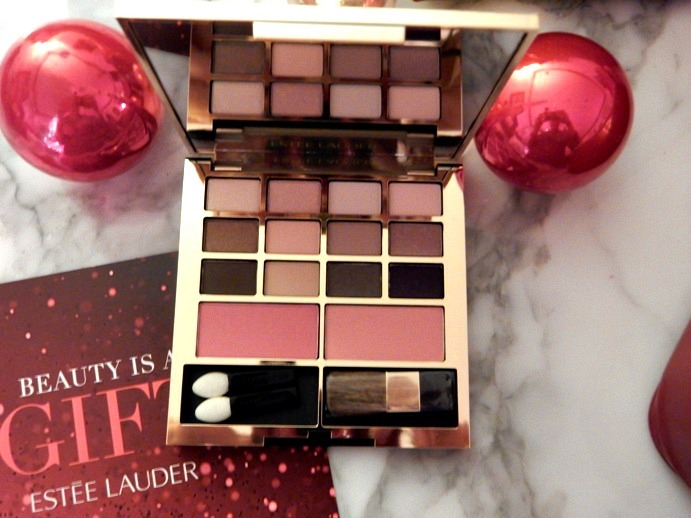 To pair with the stunning eyeshadow and blush palette, Estee Lauder included a limited edition shimmer brick. This will look stunning atop your cheek bones as you ring in the New Year on New Year’s Eve or this summer with a tan. Like I discussed in my holiday makeup essentials post (here), I’ve been very much into highlighter this holiday season and I look forward to my budding friendship with this highlighter. Estee Lauder is known for their skincare, with the Advanced Night Repair Serum topping every beauty editor’s “Best” lists, year after year. The blockbuster gift includes a deluxe sample of the world-famous serum, as well as the Resilience Lift daily moisturizer and a full-sized bottle of Estee Lauder’s makeup remover. As if I wasn’t sold on the Color Edit blockbuster set already, the inclusion of a full-sized Sumptuous Extreme mascara REALLY seals the deal for me. Estee Lauder’s Sumptuous mascara is on heavy rotation in my day-to-day makeup routine, and I’ll absolutely never turn down the opportunity to snag a bargain replacement tube. If you have not before tried this mascara, it works miracles in creating length and volume in your lashes. True. Miracles. How can this brilliant holiday gift set be your’s? 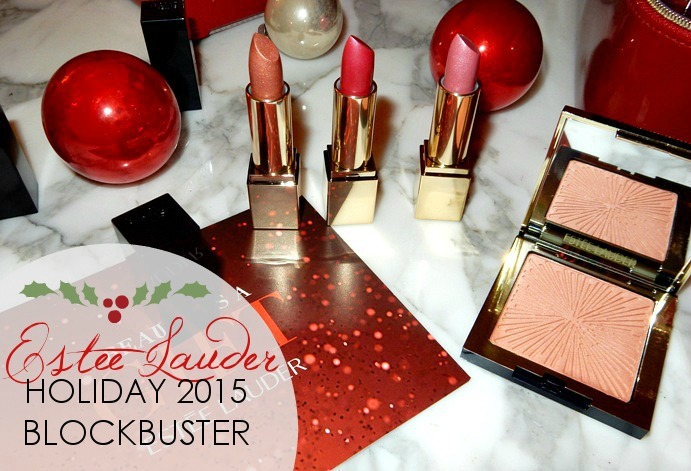 Estee Lauder’s holiday Blockbuster is a ‘gift with purchase, purchase’. Simply make any regular Estee Lauder purchase (such as their incredible BB Double Wear Highlighting Pen) and add the Color Edit Blockbuster gift for an additional $59.50. Yes, you did read that correctly. This stunning limited edition collection is only $59.50. With lipstick, mascaras and blushes ringing in at $30 a pop, that price is a complete STEAL! Included in the gift set: three full-sized lipsticks, a full-sized mascara,a 12-eyeshadow and 2-blush palette, limited edition highlighter, full-sized makeup remover, deluxe sample of moisturizer, Estee Lauder’s iconic Advanced Night Repair serum, Modern Muse perfume and two deluxe sized lip glosses. As if that’s not enough, you also get the patent leather red carrying case and a matching red lip case, that’s perfect for traveling. 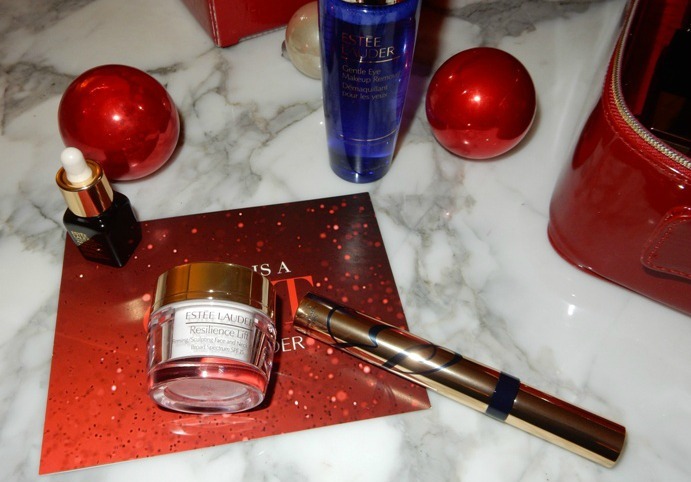 Estee Lauder’s commitment to the holidays excites me, and I’m grateful to now have a good reason to leap out of bed in the morning. If I have to bribe myself with luxe beauty items, so be it! Thank you so much for reading and check back on Wednesday for a new post! We’re inching closer and closer to Christmas and I’m curious to know if you’ll be picking up any Estee Lauder items soon, for yourself or a lucky lady on your shopping list. I don’t think you could go wrong with gifting this gift set to any of the ladies in your life, and take it from my grandma – starting a tradition of Estee Lauder at the holidays is always a good idea. Hugs, kisses and happy holidays! Shop Estee Lauder’s ‘Color Edit’ Gift Set!